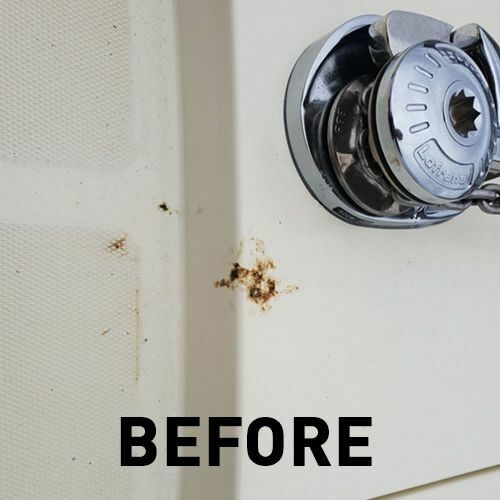 You probably have a Spider Poo problem in your home without knowing it! 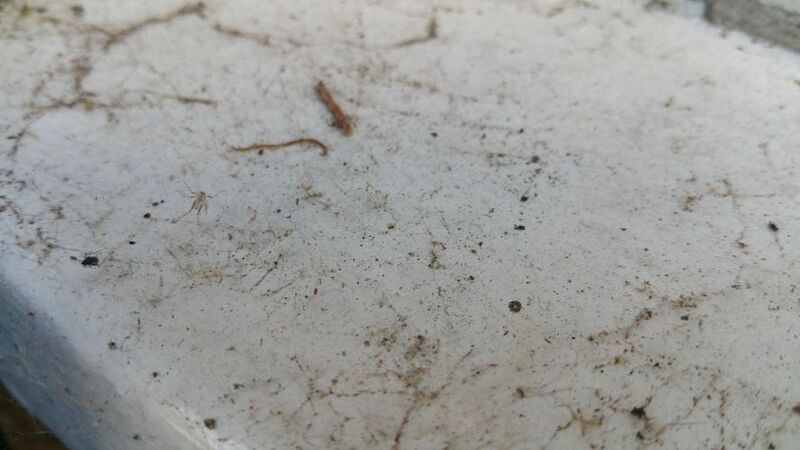 When you see spider webs with insects in them, do you see black marks underneath? This is spider poo. After eating the insect caught in the web, the spider then excretes the blood from the insect. 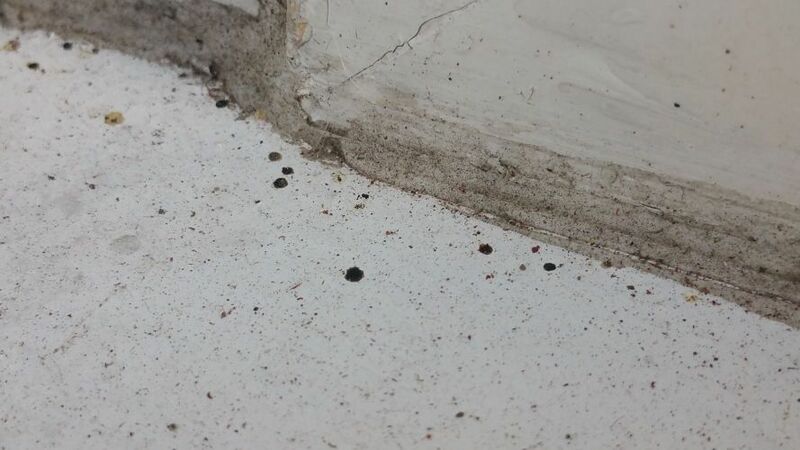 This forms a hardened, extremely difficult stain to remove from your window sill, window frames, door steps, garden tables and chairs. That's not all. 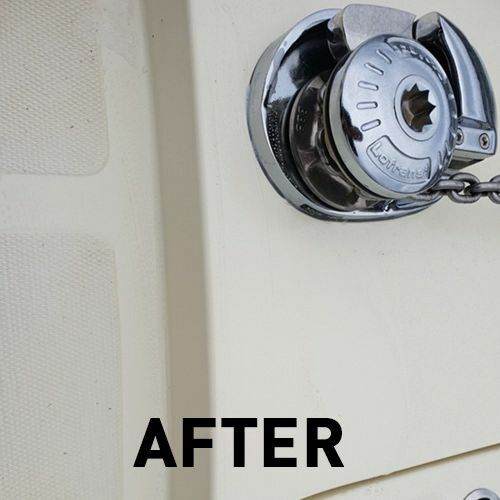 If you own a boat, you will surely know just how challenging the spider poo problem can be. 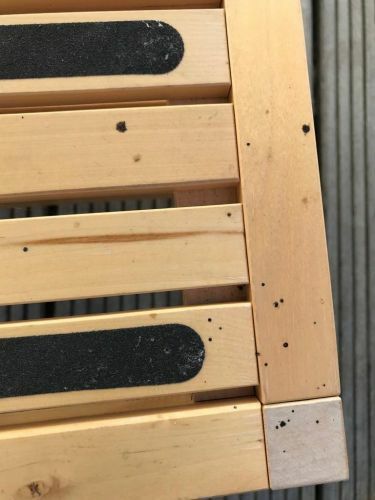 Trying to remove the spider droppings from wooden / fiber glass surfaces is a job in itself, not mention cleaning all the cushions you may have on-board as well! That's still not all. 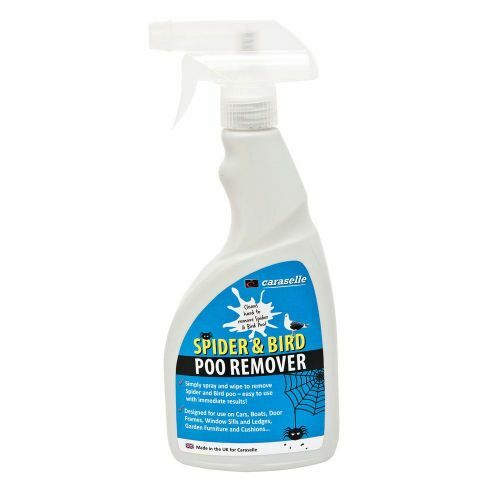 This fantastic spray also removes Bird Poo. 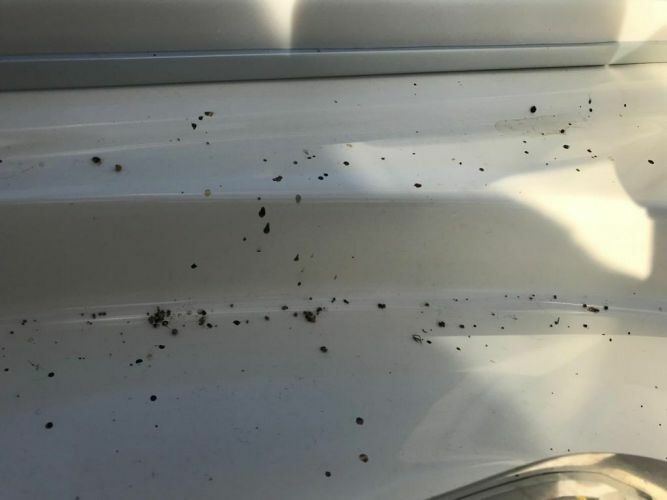 We all know how tiresome it can be to continually remove bird droppings from our cars, bikes, garden furniture etc. 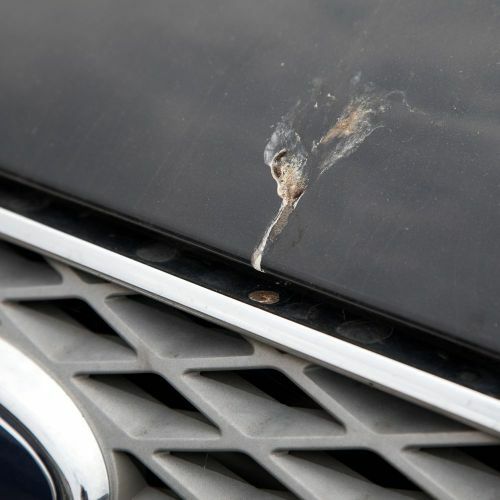 Bird droppings can damage your paintwork if not removed as soon as possible, so tackle it quickly with this spray. 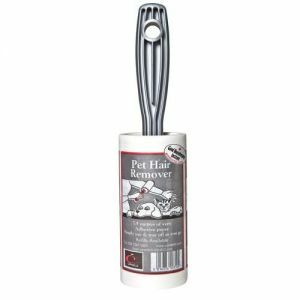 Our new Caraselle Spider and Bird Poo Remover 500ml is manufactured in England to our specification. 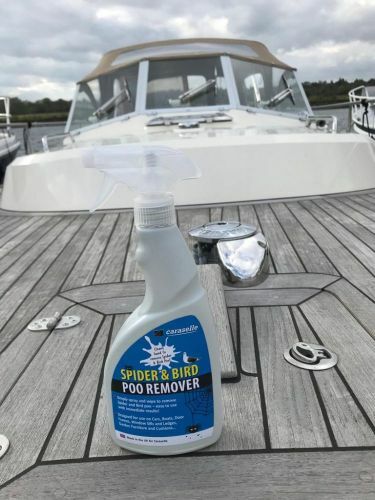 We?ve been working with local manufacturers to give you the easiest, most effective way to remove Spider and Bird Droppings on Cars, Boats, Window Sills, Window Ledges & Frames, Garden Furniture, BBQs etc. 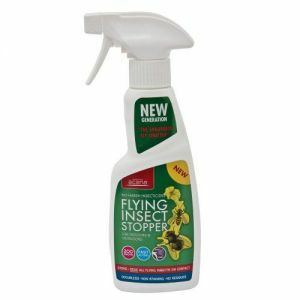 Spray onto droppings then leave for about 30 to 45 seconds. 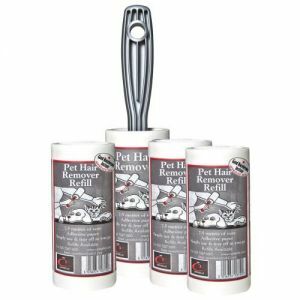 Gently wipe away with a dry microfiber cloth or similar. For really stubborn stains, we suggest you repeat the process. 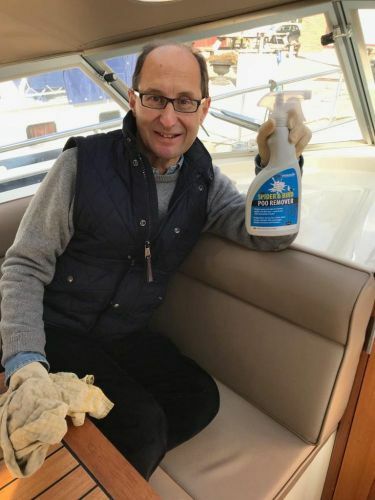 Safe for most marine surfaces and fabrics. We suggest you always colour test on an inconspicuous area prior to use. This bottle is very special. Made of entirely recycled and recyclable plastic, this is the most ecologically-friendly plastic bottle in the UK. Contains Limonene. May cause an allergic reaction. Keep out of reach of children.